Do you want to teach your toddler the correct way to hold a pencil? Do you worry that your toddler might be gripping the pencil wrong? If you can relate to the above situations, then this article may be of help. Teaching toddler to hold pencil is no walk in the park. 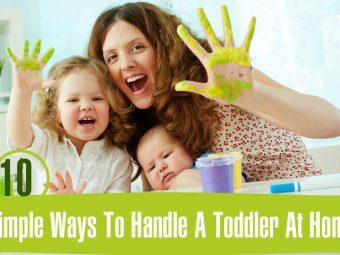 The seemingly easy task can prove to be a difficult one if you force your toddler to hold a pencil in a particular way. It might be even more difficult to teach toddlers to hold pencils the correct way once they develop a grip of their preference. Therefore, it is imperative that you teach your toddlers this important skill at the right time and in the right way. Want to know five simple tips to teach toddler to hold pencil correctly and master the art of scribbling? Read on! Technically the grip requires the use of two fingers and a thumb. The tripod grip is another name for this technique and is the ideal way to hold a pencil. Users usually grip the pencil with the support of the thumb, middle and index fingers. Teach toddlers to grip the pencil by applying equal pressure from all fingers. Begin the writing lessons using a small pencil. It is easier for toddlers to learn to write with short pencils. The short pencil length allows better grasp as toddlers have to pinch their fingers together to hold the pencil firmly. It is a good idea to introduce the long pencils later. Some toddlers might struggle with a long pencil initially, but this is no cause for worry. Once they master the grip, it is easier for them to work with writing tools of all shapes and sizes. Most toddlers find it difficult to apply the correct pressure while using the pencil. If the pencil lines are not visible or are light, they are not applying enough pressure. But overdoing it can lead to pencil lead breakages or paper tears. Teach them about applying the correct pressure while using the pencil once they master the grip. Teaching too many things at the same time may prove to be confusing for your toddler and a frustrating exercise for you. The lesson may even end in tears or tantrums. So it is advisable to teach your toddler one step at a time to right perfectly eventually. Teaching to use the pencil at the right time is also extremely important. Or else it might become very difficult to make toddlers unlearn the wrong grip and then start the lessons from scratch. 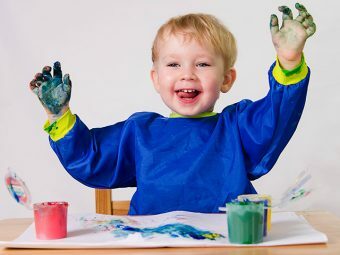 Ideally introduce your toddler to the art of holding the pencil when he turns 4 or 5 years, this is just around the time he will start going to the kindergarten. If he learns to use a pencil at home, kindergarten can be a lot more fun for him. Learning begins at home. 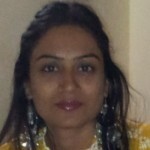 Therefore, parents can do a lot to make learning fun for their toddlers. It is best to not make pencil-gripping or writing exercises tedious by forcing your toddler to learn the technique overnight. 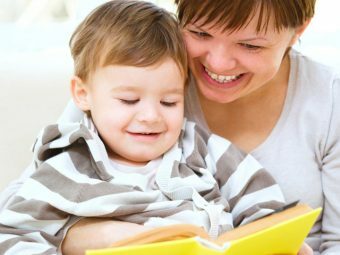 Initiate lessons when your toddler is in a good mood. Let him explore the writing tools before you begin the lesson. Let him get a feel of the pencils (and even crayons) and let him use these on paper. Watch and observe how he is holding the pencil without any help. It will give you an idea of how much work is in store for you. Now you know how to teach a toddler to hold a pencil perfectly. Why wait? Go ahead and bond with him over some scribbling fun! How did you teach your toddler to grip a pencil? We would love to know your ideas and tips on the subject.